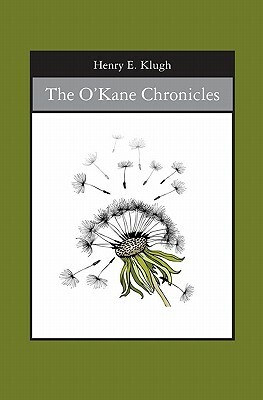 Winter is a good time to curl up with O'Kane family. This colorful chronicle spans the generations as you read of the narrator's grandparents 1897 first meeting in smalltown Pennsylvania. Follow their growing. family's adventures through the 1990's. With or without Irish coffee the O'Kanes will enchant... as will the local author who often drinks coffee in the store. This novel describes a large Irish-American family's adventures through a century that includes WW1, prohibition, a market crash, a depression, WW2 and its aftermath. Triumphs and tragedies abound. Henry E. Klugh was born in Harrisburg PA, lived in the Pocono Mountains and in Western Pennsylvania. He served briefly in the Army Air Force during WW2, matriculated at Carnegie Tech, graduated from Geneva College and received a Ph.D. in Experimental Psychology from the University of Pittsburgh. The events in the book describing the narrator's youth, service experience, and college life are quite accurate. He is Dana Professor Emeritus at a Michigan liberal arts college and the author of several college texts in inferential statistics and research design. He has been a Fellow of the American Psychological Association and a member of Phi Beta Kappa and Sigma Xi. His published research is in psychometrics, and in children and animal learning. Fishing for trout, particularly steelhead has been a life-long passion. He is a lousy poker player and not a notably better fisherman. Now, at eighty, he has decided that continued improvement in either is unlikely. He lives in Traverse City, MI.